Sundaram Finance had in Jan 2009 instituted an annual ‘Spirit of Mylapore’ Award to recognise one long time resident or institution of Mylapore who/that has contributed significantly to the culture and heritage of Mylapore. This year a scholar, an educationist and a custodian of the ancient sacred language – Sanskrit, Dr. R. Ramachandran, a 56 year old associate Sanskrit professor of RKM Vivekananda College, was chosen for the award. 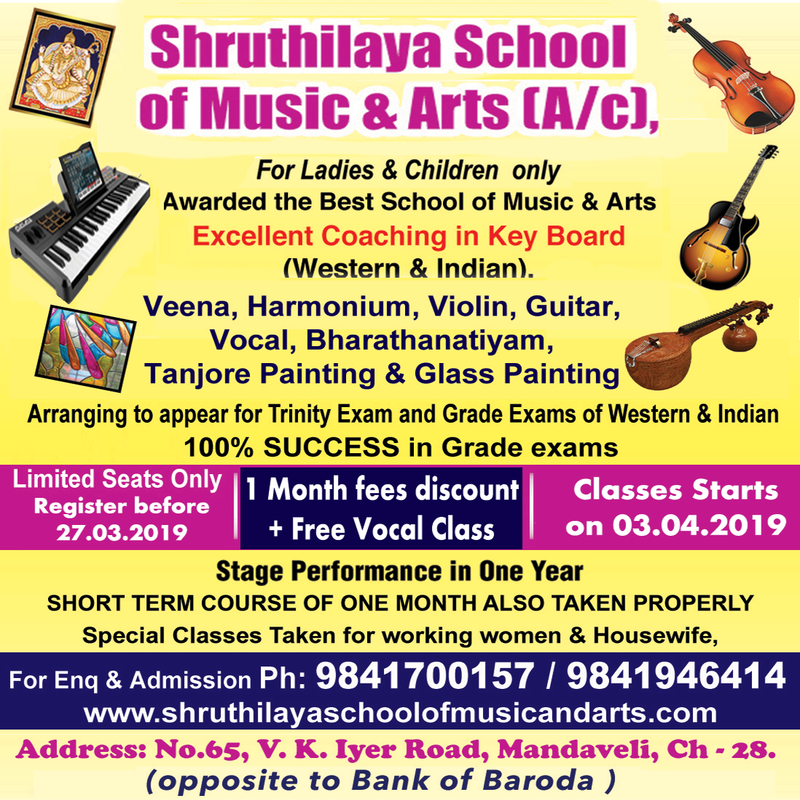 For the past three decades, Ramachandran has taken up myriad roles to promote the rich heritage of this “Devabhasha”- the language of the Gods. Ramachandran has conducted over 200 Spoken Sanskrit classes for the general public and for college students including for the students of IIT Madras. 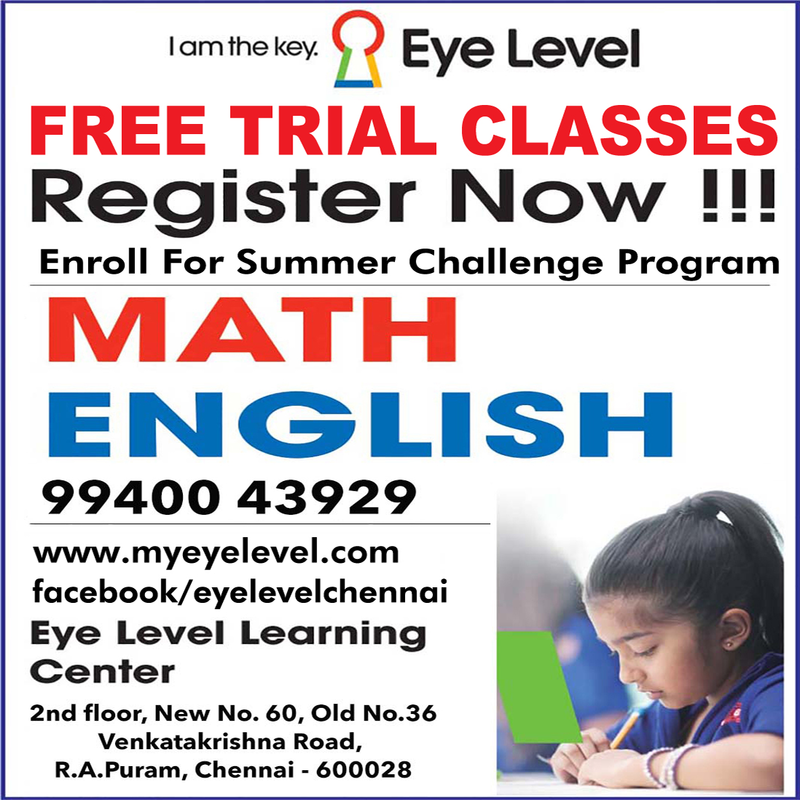 His endeavours have ensured that Mylapore has emerged as a centre of Sanskrit learning. The award was presented on Sunday evening to Ramachandran by T. T. Srinivasaraghavan, MD. 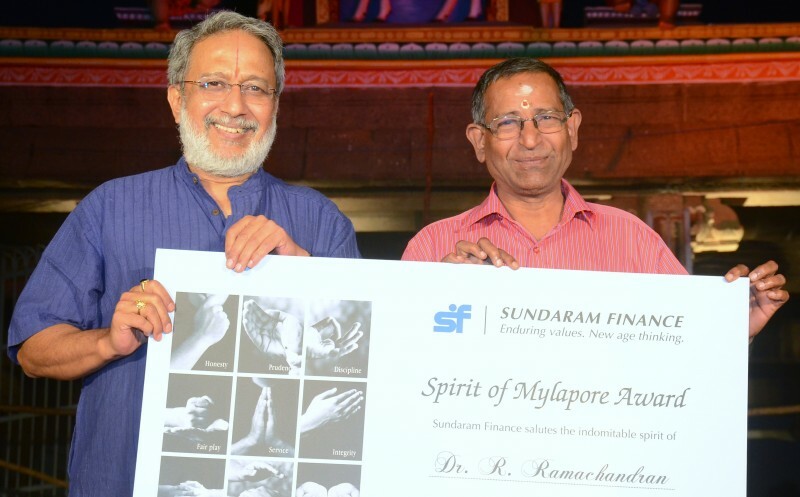 Sundaram Finance Ltd. at the main stage of the Sundaram Finance Mylapore Festival 2016. 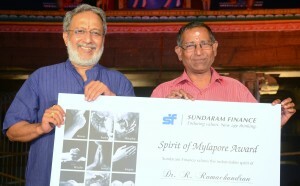 Previous recipients of the Sundaram Finance Spirit of Mylapore award include road side book seller R. K. Azhwar, Dabba Chetti Kadai and Lady’s Sivasami Girls School. Sundaram Finance also recognised Seva Bharathi (TN), Sri Sathya Sai Seva Organisation and Peter Van Geit for their selfless service in providing relief efforts during the recent floods. T. T. Srinivasaraghavan presented each of them with a ‘Spirit of Service’ award. This entry was posted on Tuesday, January 12th, 2016 and is filed under Arts, Community. You can follow any responses to this entry through the RSS 2.0 feed. You can skip to the end and leave a response. Pinging is currently not allowed.